Working outdoors requires attention to safety under the hot sun, but not at the expense of forsaking style. This hat will offer you full UV and UPF protection and also has a anti-glare fabric under the brim. If you wear it at night, it offers the added functionality of having a reflective safety band that will alert passing motorists to you on a walk, a bicycle ride or motorbike. Made to the most demanding standards, this safety hat adheres to the Australian standards AS / NZS 4399 and offers an excellent protection rating of 50+.The hat comes in a bright not-to-be-missed choice of yellow or orange and features a bucket shaped crown and a full brim. A slide toggle on the neck cord allows a perfect fit, ensuring that the hat will never fall off or slip into your eyes while you are working. 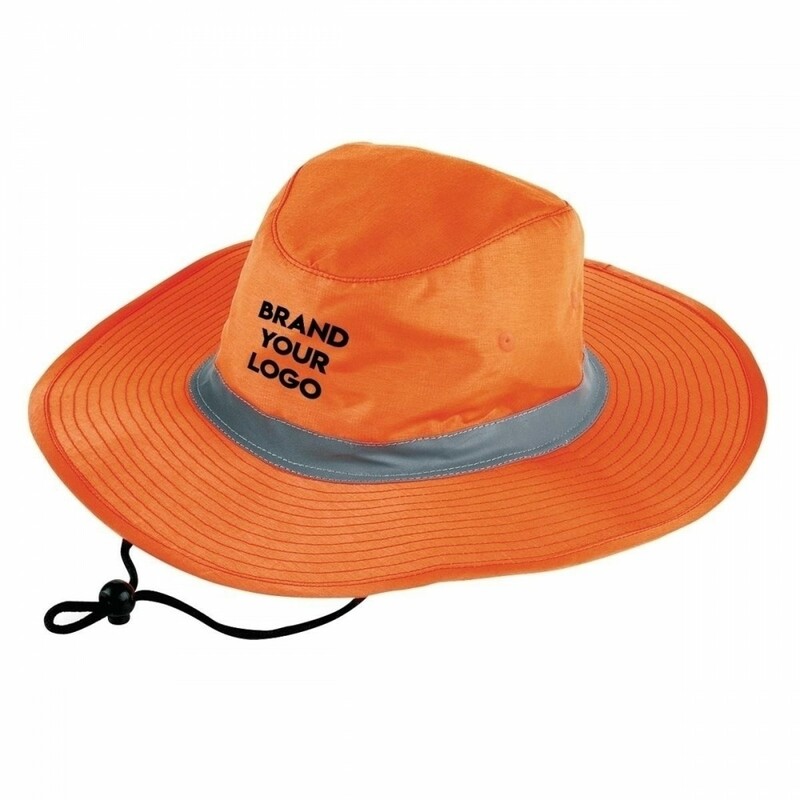 This hat is made from a durable and long lasting polyester, a fabric that is easy to maintain and clean using a damp cloth and allowing it to air dry. All our hats are quality tested and feature superior stitching and construction details. Get maximum brand exposure for your business with our stunning embroidery technique that can be placed on the the peak, sides or back of the cap. Our pricing includes 8k embroidery of your personalised graphic. Embroidery can be done in multiple colours, perfectly recreating your logo. A once off set up of $50 applies for orders under 50 units. Please note that our pricing excludes GST. Delivery of this item is within Australia only.